"Christmas Catch-Up" is the theme for this 2 page layout. 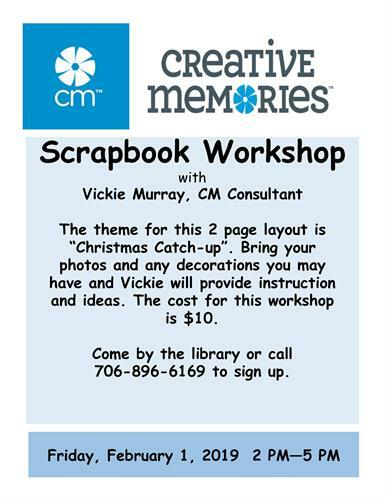 Bring your photos and enjoy scrapbooking time with Creative Memories Consultant Vickie Murray. The cost is $10 for supplies and materials. Come by or call the library at 706-896-6169 to sign up.